Everything seemed to go splendidly in the life of Henry Nightshade. He was in charge of his father's company, he had a beautiful house and even more beautiful wife he loved with all his heart and two healthy children. How many men of his age were so well established? It happened one evening after a long day at work where he struck a particularly lucrative deal with an italian family of Salvatores. 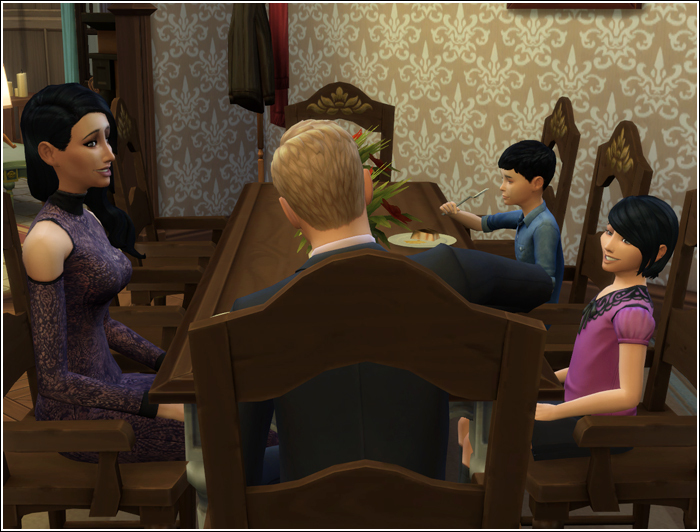 Henry was enjoying a dinner with his loved ones unsuspecting that the peaceful evening is about to be ruined very soon. "Will you take us to the library tomorrow, daddy?" Raven asked him excitedly. "To the library you say? Anything special taking place there tomorrow?" "They'll be reading from the new book of Coolala Bear Adventures! I've told you about it like hundred times." "Oh, you have? Then we shouldn't miss it, should we, sweatpea? And what do you want to do tomorrow, Thomas?" "What Raven says, " the boy replied and continued chewing on his meal absent-mindedly. "Okay then, library it is. Now finish your meal both of you and get ready for bed." After they tucked the children in, Henry and Viola retired to the living room to enjoy some private time. "Will you play for me, Viola?" Henry asked his wife. 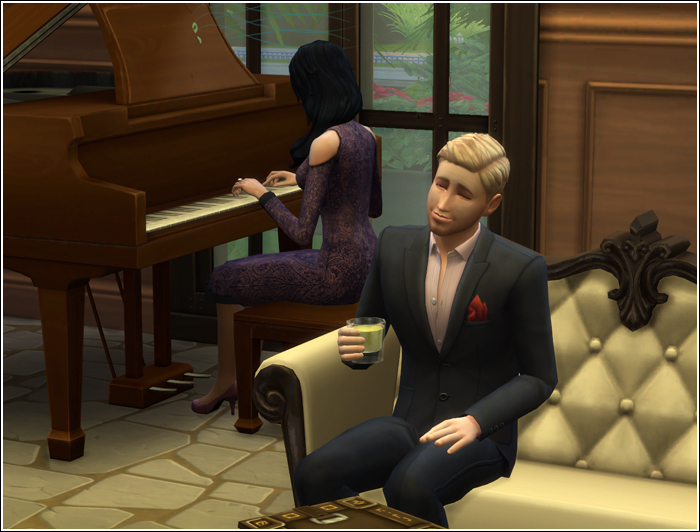 She was a skilled musician and Henry loved listening to her playing while enjoying a glass of juice. "Of course, I will," Viola said and sat at the piano. She gently stroked the keys with her fingers like a swimmer testing the waters remembering all the movements before she started playing. In these moments Henry was always experiencing a sense of perfection. Tonight wasn't any different until a false note sounded from the piano in the middle of the piece and then Viola stopped playing. It had never happened before. 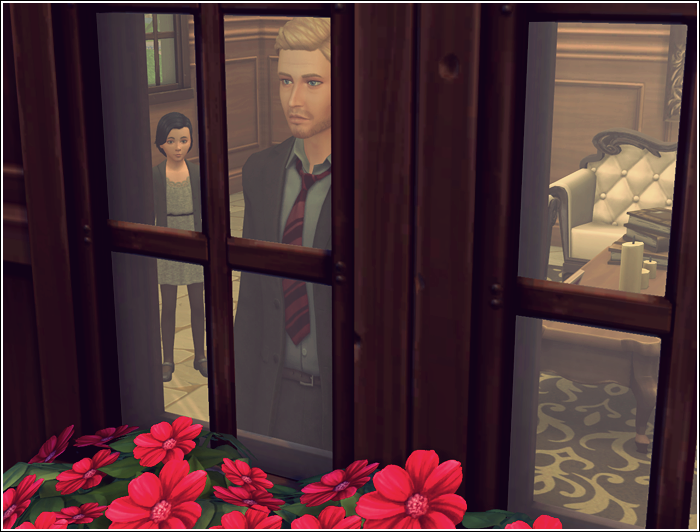 Henry looked at her worried and also mildly irritated at this abrupt interruption of the perfect moment. Viola was staring a the keyes with puzzled expression. "I seem to have forgotten the notes," she said disbelievingly. Henry put his hand on her shoulder comfortingly. "It's okay. Just continue playing from the last movement." She looked at him. "I... I don't know how," she said, her face turning pale suddenly. Henry felt a knot tightening in his stomach. Something was clearly wrong, but his mind refused to accept it. "What do you mean, love? Of course you know how." Viola looked at her hands and then slowly got up. "You don't understand, Henry. I... I don't know how to play the piano." She made few unsteady steps. "I'm not feeling very well..." she said before collapsing into Henry's arms. Deeply shaken Henry carried her into the bedroom and called for the family doctor. ​He couldn't have known that his wife won't leave her bed ever again. 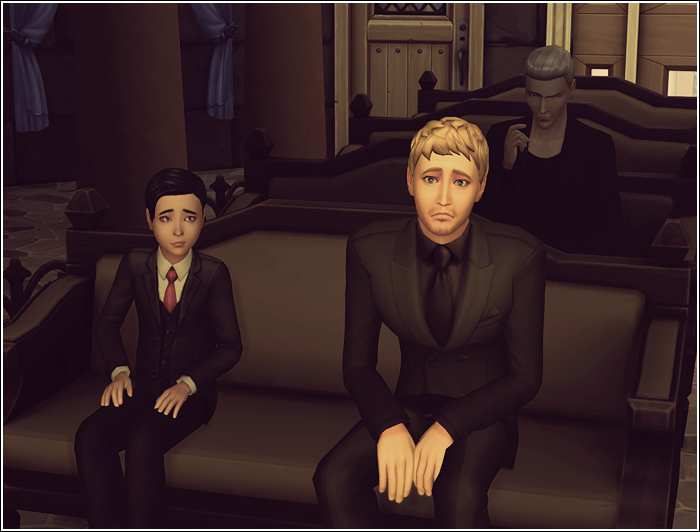 Nothing had been the same for the family from that night on. Silence and ever present gloom fell upon the Nightshade residence. Viola lay in her bed deadly ill, but the house personnel moved about and whispered among themselves as if she was already dead. Time stood still in their now sad household as everyone was silently waiting for the inevitable, holding their breaths. 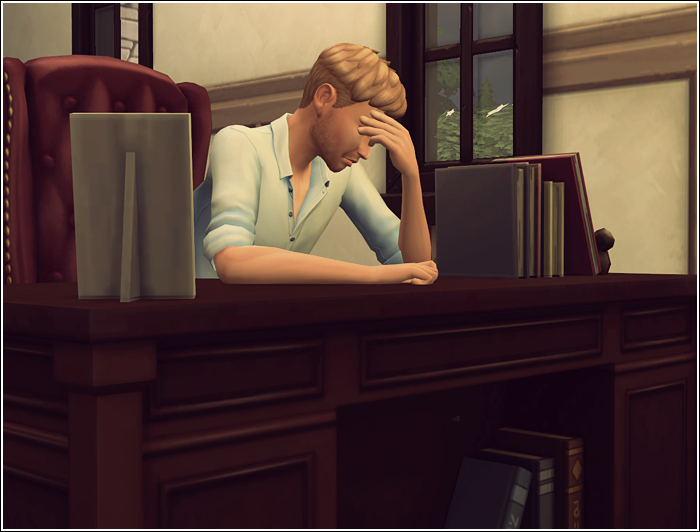 Everyone but Henry, who refused to accept the truth that he's about to lose his beloved Viola and kept searching for alternative treatments, despite her pleas to stop already. Viola came to terms with her fate and didn't want to give anymore samples of her body fluids or tissue to any other specialist or supposed miracle worker. She didn't want to spend anymore time in medical facilities in this country or that. She wanted to die at home and in her bed peacefully. Henry fought with her over this. He wasn't ready to give up, but he had to eventually, as there was no effective treatment available, and facing one shrugging doctor after another was taking its toll on his already heavily strained psyche. When his latest efforts bore no fruit again he finally gave up and fell into deep depression. There were others who suffered too and needed him, but Henry wasn't there for anyone but his wife. He was spending his days at Viola's bed or locked in his study. Raven wouldn't tell anyone, but each time her mother sent for her she was terrified. 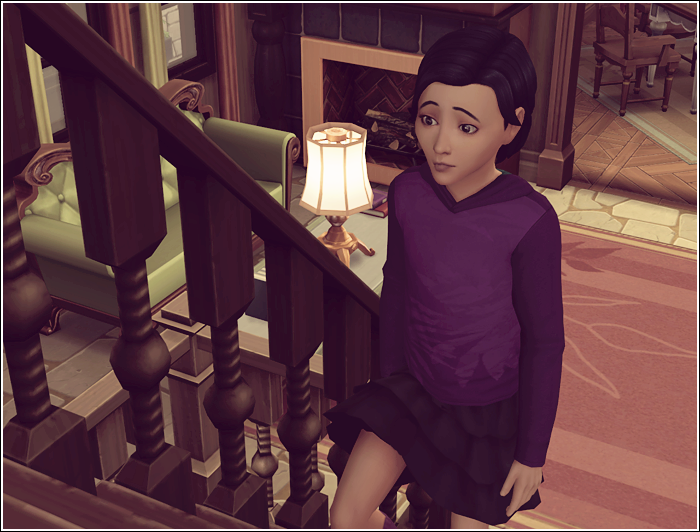 She was putting off the moment when she would have to go upstairs and face her mother as long as she could. Because she dreaded the moment. Every time she went into the room, the person lying in the bed resembled the beautiful woman she called her mother less and less. As if something was living inside her feeding on her day by day turning her into a withered hairless husk with yellowed skin. She would look at Raven with those still beautiful brown eyes, that seemed so disproportionately large in her now gaunt face, she would stroke her hair and call her her little bird. Raven had heard those whispers. She knew her mother would die soon. 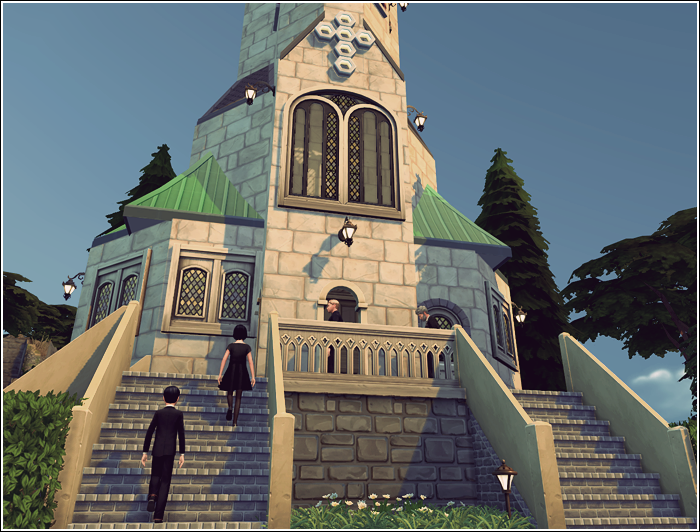 And sometimes when the butler came to relay the message that mother wanted to see her, Raven caught herself secretly wishing it was already over, that she wouldn't have to go upstairs and through it all again. She of course regretted those thoughts immediately. 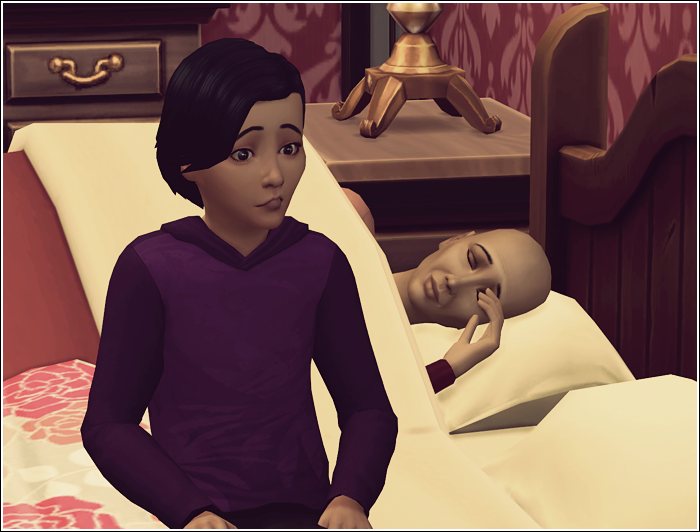 Each time she had overcome the initial shock at her mother's appearance she snuggled up to her in bed, because she loved her dearly after all, and listened to her soft voice, weeping silently into her nightgown. "What took you so long, little bird?" Viola said when Raven gathered enough courage and entered her room. The woman propped herself on elbows and with a great effort sat up. "Come here," she patted on the spot next to her. "Sit. I need to tell you something," she said between laboured breaths. Raven hesitantly sat on the edge of the bed. "I've spoked to Tommy before you," Viola started. "He's so much like his father. When you're telling him something he doesn't want to hear, his mind focuses on something else completely, acting like your words are just little insects he doesn't need to pay attention to until they fly into his face and sting him painfully." She paused to reach with her hand and tucked a stray strand of hair behind Raven's ear. Before she withdrew her hand, she touched her daughter's cheek gently. "But you are not like them, are you, my little bird? You and I can talk about big serious things, can't we?" Raven swallowed hard, feeling even more uneasy than before. This wasn't going to be the usual 'how was your day at school' talk. "I have an important task for you, Raven. I won't be here long, I can feel it. I'm weaker and weaker and there's no fight in me left. I'm going to die. I think you already figured it out too, my smart little girl. I know you're scared and it is okay, it's nothing to be ashamed of. You can be scared inside, but you have to be strong for Tommy and especially for your father. He will need you very much. He will be lost, I can already see him isolating himself. You have to be there for him, keep him distracted from dwelling on the past. Keep talking to him. You must be stronger than both of our men. Can you do that for me?" Raven felt tears welling up in her eyes. "I don't know," she whimpered. Viola leaned closer to Raven and took her face in her hands. "No crying, little bird. Not when they can see you. It wouldn't help them. You can cry when you're alone, you can be terrified inside, but never let them see. Keep this family together. I know it's a huge task, but you can do it." "Because I can see strength in you that your brother and your father lack." Viola pulled Raven in her arms. You'll do fine, little bird. And one day you'll find yourself a husband with whom you'll be able to allow yourself be weak if you want to. But I don't think you'll need it. Now let me get some rest. Our conversation exhausted me." 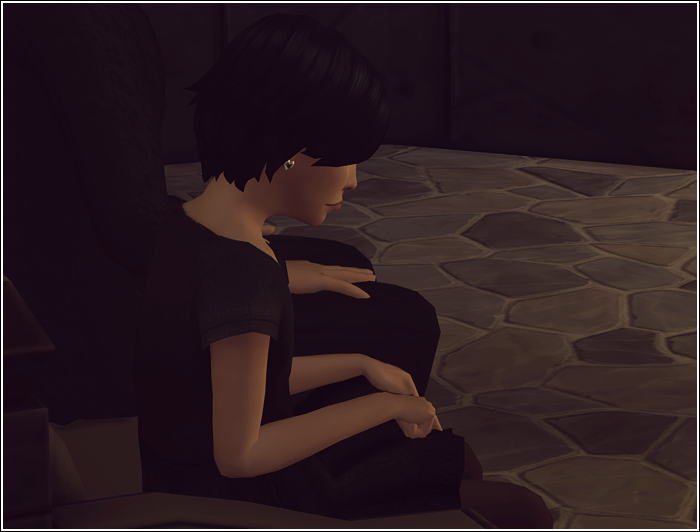 Raven was blinking furiously chasing away the tears away. She didn't understand everything her mother had said, but she understood the part about not crying well enough. She feared what the future would bring when her mother is not in it. She could she the glimpses of what it might look like around her, in her father's haggard looks, in the rest of the house that was lacking her mother's warm touch, in the walls that weren't echoing her mother's bubbly voice and her laughs. It was okay to feel fear though as long as she didn't show it. Viola lasted two more months. Then her body gave up. She was laid to an eternal rest in the family crypt. ​The crypt had been built three generations ago. The Nightshade family owned a great part of the land surrounding the structure and they kept it as unspoiled as possible. It was their most treasured family herritage. There was also something comforting about the prospect that one day they would rest here on this peaceful piece of land, in this grand tomb standing next to a crystalline lake surrounded by old trees. Not in a public cemetary with plebs. ​Having your own majestic tomb makes you feel powerful like a pharaoh. Knowing that your remains will be safe in such a vault makes you fearless. The Nightshades were known for being just that in the business circles. Fearless. That was why they had been making lots of money on deals that other businessmen didn't dare to take. Who would have guessed that something like an old crypt could help you dominate the business world? 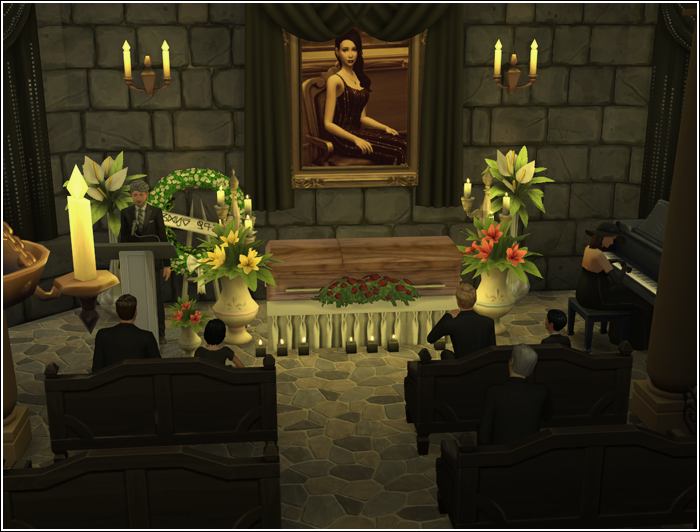 The service for Viola Nightshade was appropriate. Many people had sent their condolences and flowers, since Viola was loved by many due to her kind nature and all the charitable work she had done. 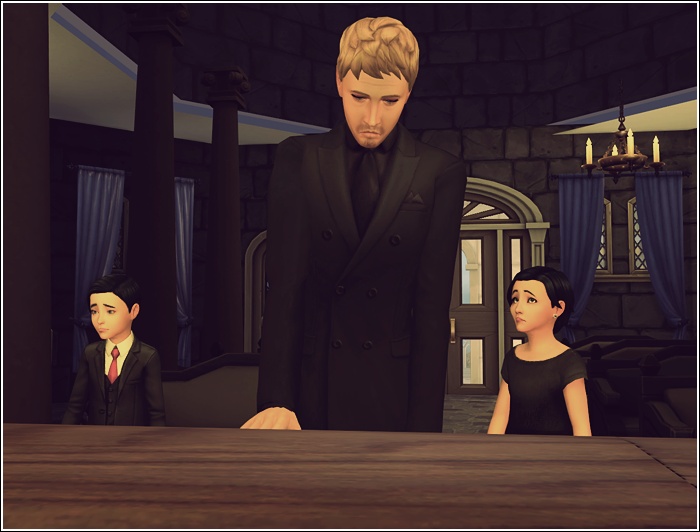 It was hard for Raven to keep the promise to her mother and not cry, especially when her dad and little Tommy were expressing their grief freely. All that sad piano music, grim expression on every face, musty air in the crypt and her mother's picture in the front were testing her self-control. It took a lot of hard swallowing and blinking and deep breathing, but she did it. She didn't shed a tear. She was strong as her mother had wanted her to be and she was proud of herself. In the night she sneaked in her mother's old room. She climbed in her bed and cried herself to sleep. She did the same the next night and the night after that and after that until she felt better. In the months that followed Raven tried to cheer her father up. When he wasn't in his office in town working until late hours or locked in his study at home, she would usually find him in the parlour standing at the window or staring at her mother's portrait. The girl did all she could to bring Henry back from his thoughts about things past, but it was all in vain. Henry couldn't stand the look of her. She was a spitting image of her mother. Against all logic he could stare for hours at Viola's portrait, torturing himself with memories, but he couldn't look at their daughter. So he didn't. Raven was anything, but stupid was she not. It didn't take long for her to realize her father didn't appreaciate her attempts. She kept trying though, she promised her mother after all. However, for Henry she simply stopped existing. Tommy was spared the same treatment. Was it because he didn't resemble his mother as Raven did? Possibly. The fact was that Henry took his son on trips while Raven had only a family butler to keep her company. 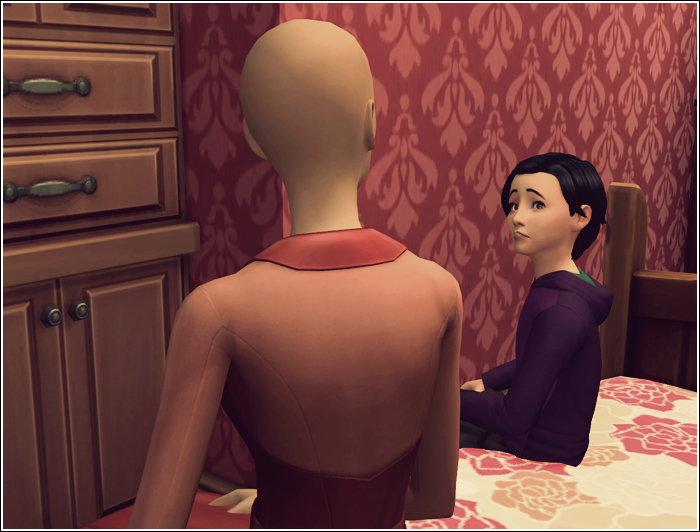 No need to say that Viola's old bedroom witnessed many tears from the black-haired little girl. Even though Henry didn't intend to hurt Raven, he was a very sad man devastated by his beloved's death, he did a lot of damage to her by ignoring her. All that shaped the young woman she was once to become. Tommy couldn't but notice this difference in treatment. At first he enjoyed all the attention that Henry paid to him exclusively, but that changed soon and he felt guilty. Raven deserved to have fun too, didn't she? He started saving candies from the trips with his father to bring them to his sister. He also kept telling her little lies such as, "Daddy said he will take you with us next time." Raven would always smile and hug him, only to sneak in mother's bedroom later to relieve her hurt feelings by crying in mom's pillow. ​It went on like this for years. 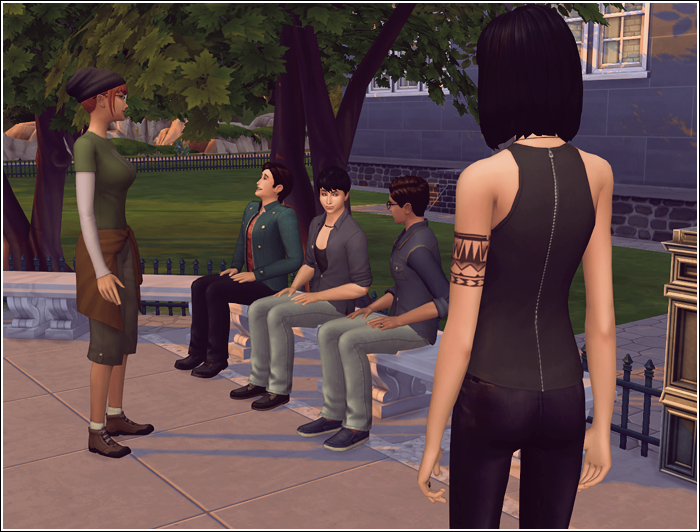 Raven and Thomas aged up to teenagers. Raven craved her father's attention but still wasn't receiving any. So she sought it elsewhere. Usually I'm too lazy to do this, but this time I'm going to credit at least some of those amazing cc creators. Take it as an apology for all those times I didn't do so (and it will most likely happen again - but in my heart I love and admire the work of you all, remember that!). 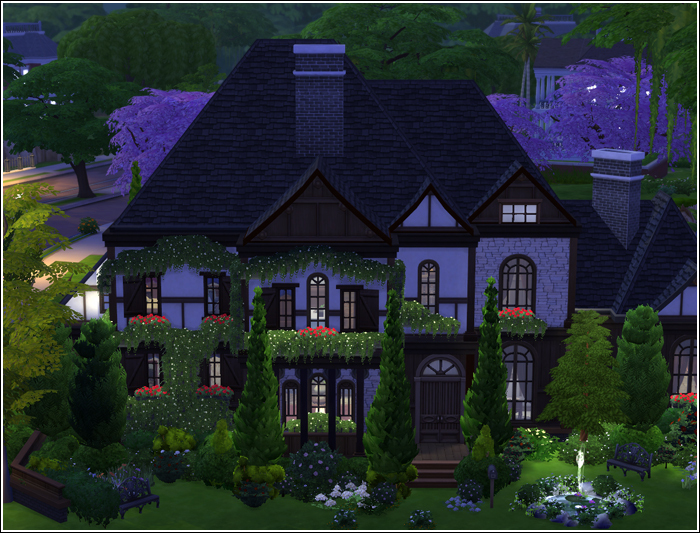 Gallery Lot used for this chapter: Pretty Tudor Home by HatsyYT, Nightshade Family Crypt is my creation and can be found in the gallery under my ID: Maladi. Make sure to check the cc to be displayed, I might have left some of it there. Uhm, and I'm sorry for the babbling about the crypt. That happens when you write a chapter for several days. One day you're perfectly gloomy, tuned for all the heavy stuff like death and grief. Next day you feel like making fun of your characters and enthusing about the perfect built you finished... 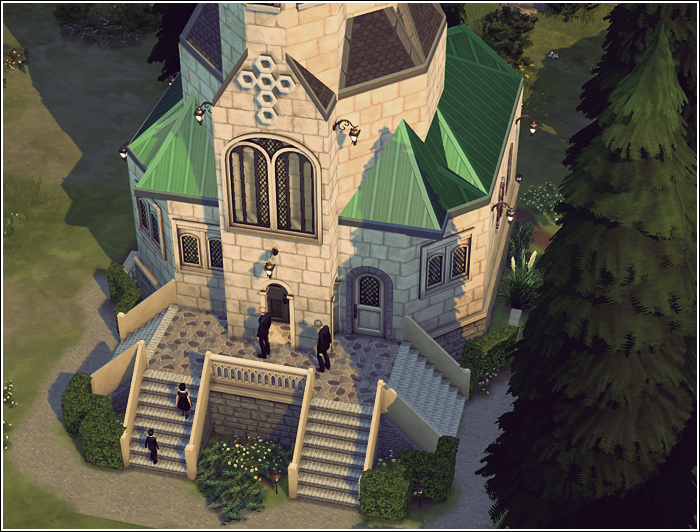 The crypt is just awesome isn't it? 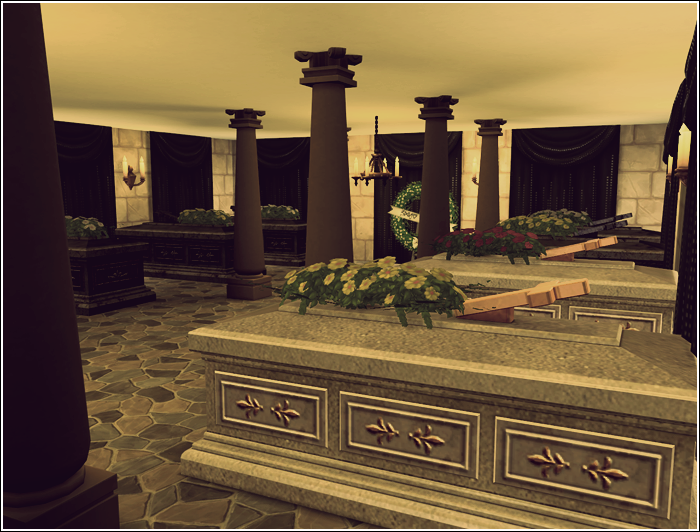 And all the beautiful custom created caskets I've put in. I need more members of the Nightshade family to put there! The place needs more spotlight in my story! Maybe I could lock Tony in there for a while? I can see the headlines, Meatball: Escape from the crypt! Meatball: Angry Nightshade Ancestors! Meatball: Woohoo in a Crypt! Or maybe not.